The first lucid dream I ever had was quite the experience. Although it only happened for a brief moment, the realization that I was in a dream and in control of it was incredible. Then I was introduced to the Lucid Dreaming Fast Track that is presented by the World of Lucid Dreaming. It’s a 3 phase process and helpful tools have made it an exciting journey toward having longer and more frequent lucid dreams. 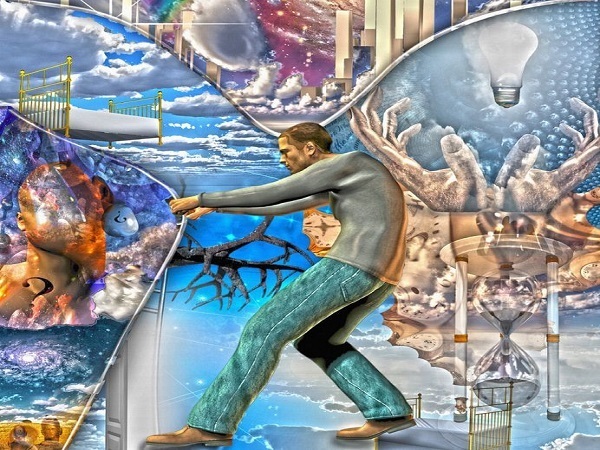 This review will cover the different steps that are offered by the program, the tools that are available to use so each person can experience lucid dreaming in their own way. The phases and tools are designed to be implemented at your own pace, on your own time, so there is never any personal pressure placed on you. And then maybe my experiences with this program and my own lucid dreaming efforts can help you find the journey toward your own lucid dreams as well. The Lucid Dreaming Fast Track begins with a brief introduction to what lucid dreaming happens to be. It’s nice to have, even for those who are familiar with the experience, because it gets everyone onto the same page in regards to definitions and expectations. The first question that many have when examining the idea of lucid dreaming involves personal control. This program answers that question by breaking things down into three different levels of experience. Beginners can control their own actions. This may include flying, talking, eating, and other movements. Intermediates can control the actual dream environment. This means being able to converse with the dream itself and even summon specific figures. Experts can have multiple dreams operating simultaneously. Meditation and pure conscious awareness happen within the dream. What I like most about this informational breakdown is that it takes an individualized approach. Instead of following a specific time formulation, the Lucid Dreaming Fast Track takes into account the natural talents of each person. The learning curve is as steep as you want it to be. I also appreciate the idea that expectations for lucid dreams are kept at realistic levels. You’re told immediately in Phase 1 that it is unlikely that a person will have full and total dream control. Once everyone is on the same page, the Lucid Dreaming Fast Track immediately begins to build skills in the second phase of the program. 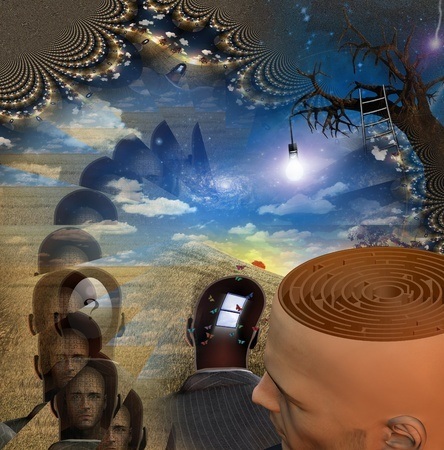 Users are immediately introduced to the Mnemonic Method and the various steps that Dr. Stephen LaBerge developed more than 40 years ago to induce lucid dreams when desired. Users are encouraged to remember their dreams with a dream journal. Keep a notepad next to your bed and jot down notes about your dream as soon as you wake up. This is necessary because the longer someone stays awake, then the more likely it is that they will forget specific details of the dream. By writing them down immediately, you can log the experiences into your conscious memory. You’re also encouraged to conduct regular reality checks. This gets you into the habit of always checking to see if you’re experiencing reality. Then there is the affirmation aspect of lucid dreaming. By giving yourself a direct command that is repeated as you’re falling asleep, it becomes easier to recall that command later in the dreams you may have. Other methods are also taught to users for consideration besides the traditional Mnemonic Method practices, which gives the Lucid Dreaming Fast Track program an advantage over many others. Users can incorporate all of the techniques or their preferred methods with ease. Here are just a few examples of the other induction opportunities offered in Phase 2. I think what stands out for me in this phase, especially with my own familiarity with lucid dreaming, is the inclusion of supplements and herbs as part of the program. Specific recommendations are offered to program users to enhance their lucid dreaming and dream recall experiences. Practical advice is given on how to obtain the supplements and herbs that are listed and the various methods of including them in your diet. This allows everyone to find the best way to reach lucid dreaming on their own journey by allowing each person to stay in control of their own choices. Instead of instruction and lecturing, this phase encourages individualized participation at one’s own comfort level. You’re immediately taught how to stay lucid, what your dream control essentials happen to be, and what it takes to summon characters or seek out wisdom. What I love about this section is that it offers real-life instances of how dreams have helped to shape our reality. From the discovery of a melody to the discovery of atomic structures, people from all walks of life have been able to change the world because of the lucid dreams and visions that they have had. And that makes me think if others can make the world a better place because of their dreams, then that is something I can certainly do as well. What stands out about all of the stories that were shared is that each person had to overcome a specific hurdle in their lives. By focusing on solutions, even as they began to fall asleep, their dream state could turn lucid so that they could actively problem-solve while they slept. They turned the hours of sleeping into hours of productivity. Now I know I’m not trying to turn the scientific community on its head or trying to invent something that will earn me millions of dollars – but being able to resolve stressful emotions? Or to work on problem solving a difficult situation I’m facing while asleep? That’s something that is very attractive to me. I also appreciate the fact that the Lucid Dreaming Fast Track program doesn’t paint the idea of lucid dreaming in rainbow hues where perfection is always achieved. There are challenges that will be faced while dreaming. Even those who are experts face certain challenges within their dreams so that it may not feel perfect all of the time. And that’s okay. Being aware of the challenges presented in this program means you can be prepared for them. I found this information quite helpful when attempting my own lucid dreams because having the information available meant I could access it during my own dreaming experience. It asks users pointed review questions about the information they just read. This review ensures that everyone is able to pull out the needed key points from each section or activity they attempt. In Phase 1, I found the Test Yourself sections less useful for myself simply because I was aware of the basics of lucid dreaming already. It was nice to have this information as a review. For new users, this process will likely be extremely useful to get the basics of lucid dreaming down. Where I found the Test Yourself sections to be most useful was during Phase 2. The induction steps for each method of lucid dreaming can be difficult to remember when you’re getting into your bedtime routine. Having that information available with a useful review that highlights the key points of each method really made those steps easy for me to recall. In Phase 3, the Test Yourself sections are more about setting personal expectations for yourself when attempting a lucid dream. That’s also nice to have because it allows you to look at the process through realistic eyes instead of demanding a result that is unrealistic. In return, you’re able to experience success with greater frequency and that made me look forward to experiencing my next lucid dream. The Lucid Dreaming Fast Track program pushes forward when other programs are ready to stop – at least in my experience. That’s because instead of just providing you information and then sending you on your way, this program gives you three specific tools that you can use to make your experiences become frequent and beneficial. The first tool offered are lucid dreaming hypnosis sessions. The recordings feature ambient music created from the lucid dreams of a composer. You can listen to these hypnosis sessions at any time, but I would recommend you do so when there are a few minutes available to relax. I found the night version of these sessions to be the most beneficial for me in terms of lucid dreaming assistance, but the day sessions were also quite pleasing and fun to use. You can download each session directly from the program to your computer or mobile device of choice. The second tool that is offered to users is called BlissCoded Meditation. This is a proprietary technology that uses the Golden Ratio to help users achieve a deeper meditative state. Some might even call this process self-hypnosis. 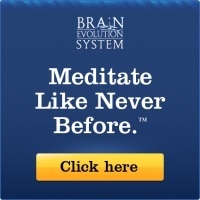 If you’re familiar with the idea of brainwave entrainment, then you’ll have no trouble using this tool to your benefit. If not, then it only takes a few minutes to use this tool to your benefit. Just play the audio track when you’re about to sit down for a meditation session. You can also play the audio track while working if you wish to achieve a greater focus – though you might feel a little sleepy afterward. I prefer to use stereo headphones to receive the full effect of this tool, but any computer speaker in a quiet room will help you focus your mind. And when you can focus your mind, you’re able to stay focused on the process of lucid dreaming. Using this tool for just a couple of days really helped me maintain my affirmations as I was falling asleep. You can also download this file to any device that can play the MP3 format. The final tool was quite unique for me: subliminal videos. There are two videos that are directly available through the program that you can play through your browser. Just hit play, sit back, and let it do the work. Now I’ve been skeptical about subliminal videos in the past. They’ve never seemed to work for me. Maybe it was because I didn’t have an open mind about the process – I don’t really know. What I can say is that I felt like these videos helped to set my mind into a more receptive state for lucid dreaming. I actually used these tools in reverse. I would start my day with the subliminal videos. I would then use the BlissCoded Meditation audio during my regular meditation time each day. I would then use the hypnosis sessions at the beginning of my bedtime routine. Lucid Dreaming Fast Track program is the one that I would describe as being helpful in a general way. Not only do you get a full understanding of what lucid dreaming happens to be, but you also get to compare realistic and unrealistic expectations so you know what to expect from the program. You also receive specific and implementable steps that can be used for your own lucid dreaming steps. You get to be in full control of the steps that you use. That’s something I really appreciate because you feel like you’re having your own dreams instead of ones that are crafted for you. So I’ve really enjoyed everything this program has been able to provide. My dreams have become more vivid, even if not every single one of them has been lucid. I’ve been getting better sleep as well and that has helped me keep my focus on the tasks I need to complete during the day. This means I would highly recommend this program to anyone who is seeking to learn more about lucid dreams or wants to experience lucid dreaming on their own. You receive help, but you’re also asked to take ownership of your own experience and that creates a powerful teaching combination which really works.